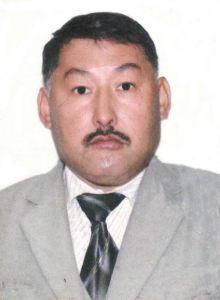 Born on December 8, 1968 in the city of Ayaguz, East Kazakhstan Region. In 1986 he graduated from secondary school number 1 of the city of Ayaguz. From 1978 to 1989, he served in the Soviet Army in the city of Rzhev. In 1992 he entered the Faculty of Philology of the University. E.A. Buketova, who graduated in 1996. In 2001 he entered the KEUK Faculty of Business and Law, which he graduated in 2003. 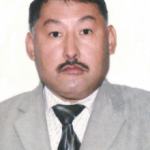 He began his pedagogical activity in 2003 in Astana at the Institute of Economics and Finance of KazEU named after T. Ryskulova at the Department of Management and Marketing, as a teacher of legal disciplines. In 2011, he moved to the Modern Multidisciplinary College of Karaganda, where he worked until 2012. In 2012, he joined the KSMU. He worked in this university art. teacher of Russian language in 2015. In September 2015, he was hired as a teacher at KSTU.